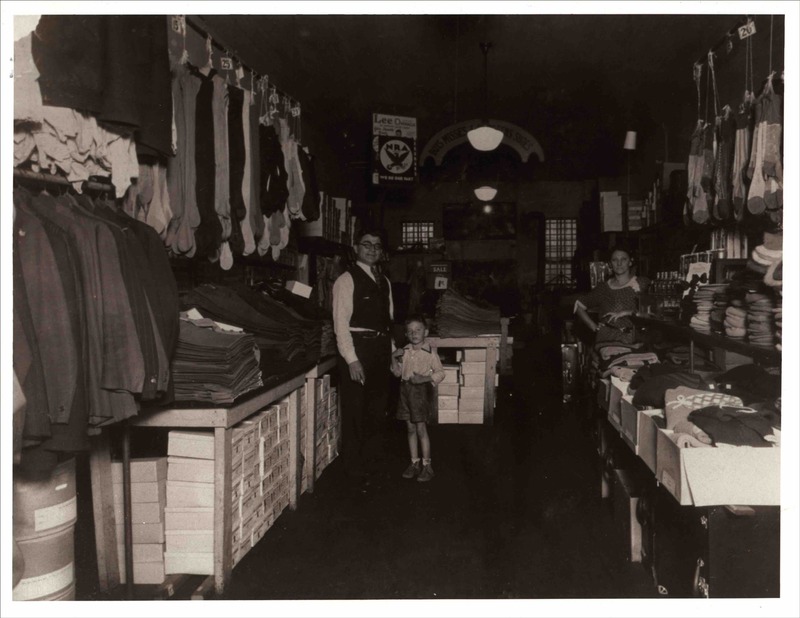 Louis Kligman (1895-1973), an immigrant from Cuezyon, Russia, opened this general merchandise store in 1928. Louis first applied for a visa to immigrate in 1922, with his brother-in-law, Estill-based merchant Jake Baker, serving as his sponsor. He arrived in Columbia around 1926 and married Ida Lomansky in 1927. Their only son, Melton (1929-2013), was born in 1929. The store remained open until at least 1958, when it became an Army-Navy Store run by another manager. During its nearly thirty years, Louis employed at least one niece, Freida Baker, as a saleswoman. Melton went to law school at the University of South Carolina and later opened a successful practice on Lady Street.